While we all look forward to updating our sunglasses in the summer, a new trend may give you second thoughts about shelling out for shades. 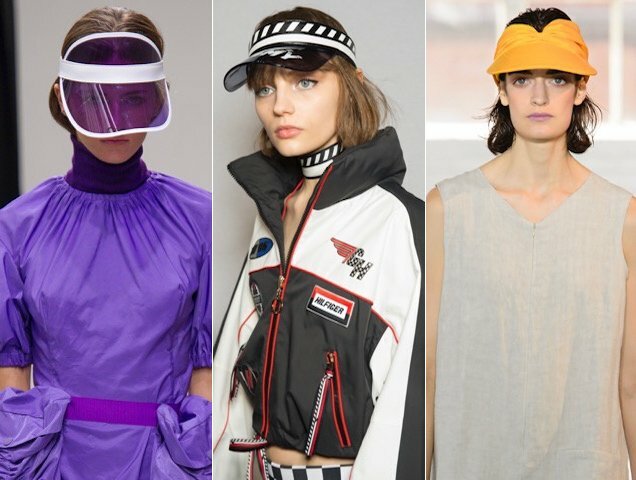 Visors popped up on many a model’s head during the Spring 2018 and Fall 2018 seasons. Leading the charge was Christian Dior, whose colorful versions (sold under the brand’s eyewear label) have already become must-haves for the Insta famous, like Kourtney and Kim Kardashian who paired theirs with dark bikinis on the beach. On the runway, Dior visors were teamed with the sportier getups, while the dressier offerings earned berets and veiled caps. 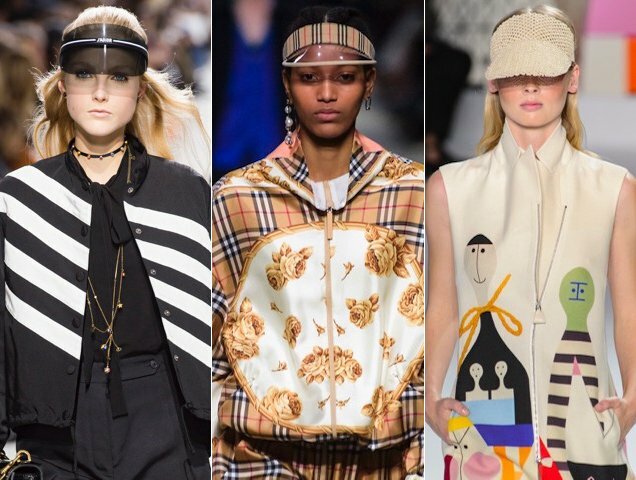 Burberry recently resurrected its classic check, using it to cover everything from baseball caps to windbreakers to bags. The brand’s following offering expanded the pattern to visors that complemented tracksuits and oversized sweater hoodies with one even poking out from under a beanie. Akris got arty with colorful prints, but the visors were woven and served as neutral counterpoints for the vibrant clothing. If you’re missing the cheap-looking visors of the 80s, Alexstorm has you covered with white-banded takes in all manner of hues, including yellow, purple, black and a frosted white. Gigi Hadid and Tommy Hilfiger’s last collab supplied logo-clad visors designed to top off the other branded pieces in the collection, but feel free to rock them with other labels. But if you’re looking for one meant for sun-drenched days in the South of France, Creatures of Comfort has your visor in marigold wrapped in silk. Of course, the off-the-runway versions will set you back a pretty penny, but since the trend has really taken off, you can already find low-cost alternatives that are perfect for this (perhaps) fleeting fixation. Whether you plan on rocking them strictly waterside or out on the streets, here are 13 visors that bring the shade.